A comprehensive course covering different kinds of interviews in data science industry and how to ace these interviews. This includes technical interviews on data science / machine learning, case study interviews, guesstimate based interviews. Why take "Ace Data Science Interviews"? Are you trying to get into data science roles but getting rejected by employers? Are you scared of getting into data science interviews? Or don't know what to expect in data science interviews? This is just the course you need. While you might know the tools and techniques in data science, clearing a data science interview might still prove very difficult. You need to show your problem solving skills and technical prowess in these data science interviews. This course has been created based on hundreds of interviews we have taken, companies we have helped in data science interviews and several data science experts in the industry. Learn the process to create a professional experience for data science roles. Infographic for 7 step process to "Ace Data Science Interviews"
e-book containing more than 240 interview questions from interviews in industry. Pranav is a data scientist and Senior Editor for Analytics Vidhya. He has experience in data visualization and data science. 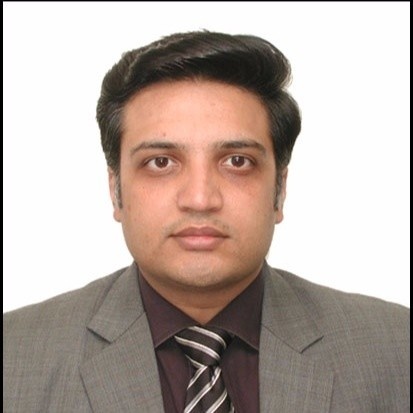 Pranav has previously worked for a number of years in the learning and development field for a globally-known MNC. He brings a wealth of instructor experience to this course as he has taken multiple trainings on data science, statistics and presentation skills over the years. He is passionate about writing and has penned over 200 articles on data science for Analytics Vidhya. EXCELLENT AND VERY USEFUL COURSE!! I have been interviewing for data science roles for last 6 months with no luck. So, I signed up for this course when it came out. Thanks to Analytics Vidhya team - the course in super useful. It covers different formats of interviews in detail. The handbook is very comprehensive as well. I will recommend this course to any one preparing for data science interviews. This course is meant for people wanting to Ace Data Science Interviews. You could be an experienced person looking to transition to data science ecosystem or a fresher coming out of the college. The course distills learnings from hundreds of data science interviews to provide you with everything you need to ace them. This is a self paced course, which you can take any time at your convenience over the 6 months after your purchase. What type of Interviews will be covered in this course? We cover 6 types of Interviews used in data science industry as part of this course. This includes Technical Interviews, HR Interviews, Assignment based interview rounds, Business case study interviews, Guesstimates and Puzzles. We also cover telephonic screening for data science roles. How many hours per week should I dedicate to complete the course? The course includes 4 hours of recorded videos along with thousands of exercises. If you can put between 2 to 3 hours a week, you should be able to finish the course in 4 to 6 weeks. The course is presented in a logical flow. So we would recommend taking the course in the order. However, if you are comfortable about a particular section - you can skip it. The fee for this course is Rs. 3,499. How long can I access this course? You will be able to access the course material for 6 months since the start of the course. Is there any placement support with this course? The course aims to prepare you for the interviews you will face, but does not come with placement support. You can check various opportunities on Analytics Vidhya Jobs portal and participate in our Hiring Hackathons.